According to a study conducted by the Center for Disease Control and Prevention, 25 percent of adults over the age of 60 no longer have any natural teeth. That’s millions of elderly people without the means to eat the nutritious foods needed to keep themselves healthy. To combat this shocking statistic, our McAllen dentists are sticking true to the WhiteWing Dental way: providing quality dental care at an affordable cost. In today’s post, we are answering some of the basic questions many of our older patients have asked about dentures. We want to ease any anxieties you may be having if you are dealing with missing teeth and are looking for a tooth replacement solution. 1. How Much Do Dentures Cost? The type of material the dentures will be made of. The technique used by the dentist or prosthodontist. 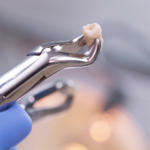 The operating costs associated with the dental office. Modifying the dentures over time to prevent sore spots. Improving how the dentures fit for chewing. Improving the look of the dentures. Making adjustments to ensure that the dentures fit securely and comfortably. These expenses all depend on the condition of your mouth and teeth, so costs will vary. Know that at WhiteWing Dental, affordability is always one of our top priorities. 2. 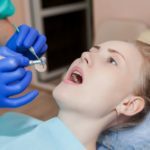 Does It Hurt to Get Dentures Installed? 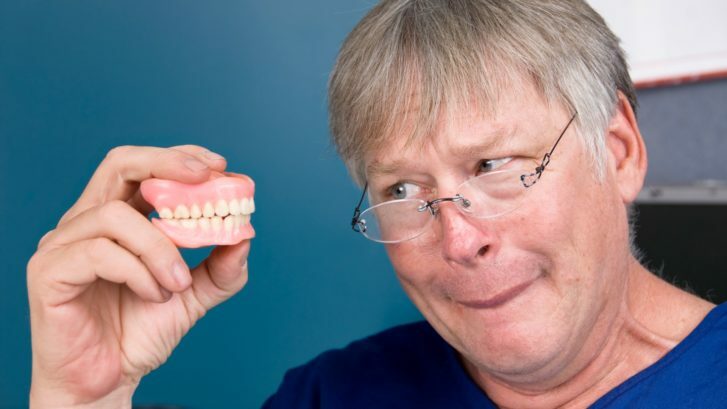 When a patient first gets fitted for dentures, there may be some slight irritation as they get used to wearing them. Once the patient becomes accustomed to having them, however, that sensation should go away. The time frame by which they feeling will dissipate is different for everyone. Do keep in mind that if you have had some of your natural teeth removed, or other dental procedures completed prior to getting your dentures, you may experience pain or discomfort for several weeks as a result of these other dental operations. 3. How Will I Take Care of My Dentures? Dentures can stain, accrue bits of food and plaque bacteria, and crack just like natural teeth can. 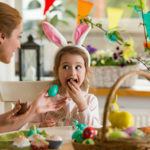 This means that taking care of them is just like taking care of your natural teeth (with a couple of extra steps just to make sure they stay in tip-top shape). After you have eaten, run water over your dentures to remove any food particles and debris. Make sure to clean your mouth after removing your dentures by using a soft-bristled toothbrush to clean your tongue, cheeks, the roof of your mouth, and any natural teeth. Brush your dentures daily with a gentle denture cleanser; just make sure the dentures are outside of your mouth when you clean them. If necessary soak your dentures overnight in denture-soaking solution. Make sure to rinse them thoroughly before placing them back in your mouth. Visit WhiteWing Dental for regular dental checkups. 4. Will My Insurance Cover the Cost of Dentures? For the most part, most dental insurance providers do cover some, or all, of the costs of dentures. However, it would be best to contact your personal dental insurance provider regarding details about your particular insurance policy and what is covered. 5. I Broke My Dentures. What Do I Do Now? Accidents happen and even the sturdiest pair of dentures can break if accidentally dropped or mishandled. If you happen to crack or break your dentures, you will want to visit your dentist right away in order to get them repaired. If you happen to get them at WhiteWing Dental, we can get your dentures repaired in no time. And if you are a visitor from out of town, like a Winter Texan who will be in the area for several months, you are always free to set up a consultation to explore your options for getting fitted with new dentures. With WhiteWing Dental, getting brand new dentures is made easy. At WhiteWing Dental, we understand that getting dentures can be a bit scary. That’s why we focus on delivering quality services in a family friendly environment where you’ll feel absolutely comfortable. Getting dentures has never been easier! Contact us today at our McAllen or La Feria dental office to set up your appointment.